SAMSUNG NOTE 8? 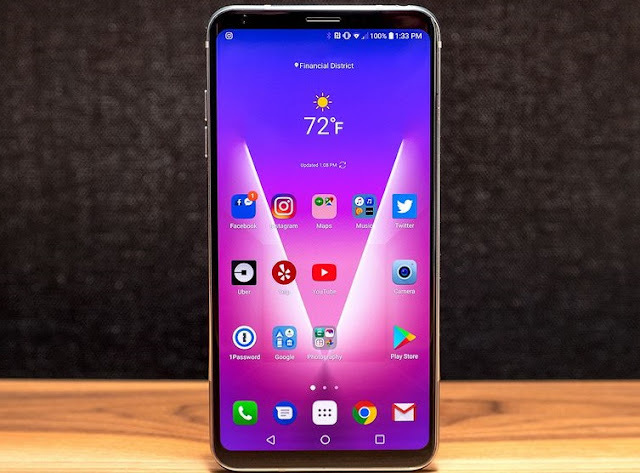 NO... CHECKOUT THE AWESOME LG V30 SMART PHONE - . ::Tech Villa::. Do you remember the LG V20, the first device to use the Android 7.0 last year but came with an annoying dual screen. LG has finally unveiled the successor, the LG V30 and it will rival the Samsung Note 8 without looking back. LG’s V30 comes with a Snapdragon 835 processor, 4GB of RAM, 64/128GB of internal memory, 3,300mAh battery, and wireless charging. Yes, wireless charging too! It’s also worth noting that the resolution of the display comes in at 2,880 x 1,440. Like initially stated, the V30 is the first phone to feature an f/1.6 lens aperture, which delivers 25% more light compared to the f/1.8 lens you’ll find on most modern smartphones. LG have also embedded a glass Crystal Clear Lens within the camera to collect even more light and to allow for more accurate color reproduction. Another standout feature is Point Zoom, which allows V30 users to tap on a specific point on the screen while filming a video and zoom in on that point. The price will not be available till the end of the month of September.